Here’s a nice wind-down from your crazy week. 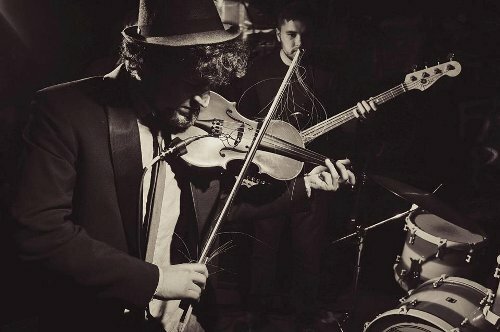 Lucas Biespiel and his Dangerous Gentlemen have just released the first single titled “Preacher” from their debut album, Stories of Your Sorrows, which is due out October 1. The upcoming EP is described as “a series of monologues by different characters in a play. Each song acts as a soap box for each character to tell you their story.” Their music is bluesy and soulful with earthy, ageless vocals and tasty guitar licks that slide down like honey. It’s nicely crafted with percussive flourishes (rather than just “drumming”) and closely-knit vocal harmonies. This is good… really good. Lucas, originally from Portland, Oregon, is a singer-songwriter, guitarist, keyboard player and violinist, formerly the lead singer of the Backyard Blues Boys. He moved to Boston to attend Berklee, and met up with the other members of his current band, Dangerous Gentlemen (that would be Sean Oliver on bass, Sam Small on electric and lap steel guitars and Griffin Davis on drums). He also runs his own label Blue Brick Records. You can learn more about his history, his thoughts about creating music and his future plans on Rose Rundown. For now, have a listen. Hey all. Here’s a scrappy and charming little outfit from California called Broadheds who released their debut (and only?) album back in April. It’s all about nervous energy and angst, from a distinguished group of gentlemen giving full rein to their “inner teenage boy.” On guitar and vocals is Peter Walker, formerly of The Eulogies and also co-founder of that highly esteemed Eastside L.A. label Dangerbird Records, which I’ve been meaning to profile for years and will be doing so shortly. 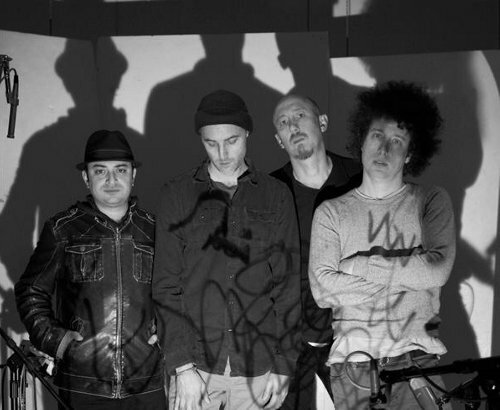 Along with Walker, Broadheds boasts an all-star lineup — drummer Denny Weston, Jr. (The Kooks, Earlimart), bassist Justin Meldal-Johnsen (M83, Beck, Nine Inch Nails) and sax player James King (Fitz and the Tantrums). 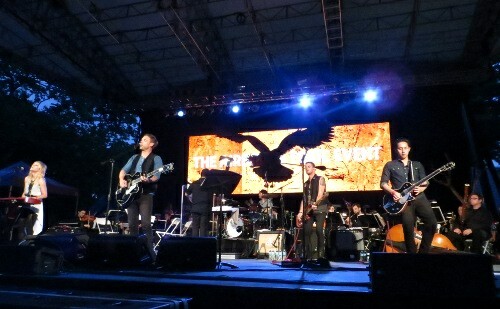 The fifth member of the band is visual artist Mark Todd, whose artwork is featured in a 64-page book that accompanies their album. Mark’s artistic vision was also an important part of the recording process. They’ve only intended to perform a handful of live shows, so if you’re in or around San Francisco on July 10 and you like what you hear, you’d best get yourself to Cafe du Nord while you’ve got the chance! 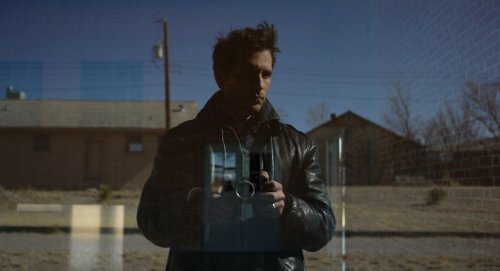 Walker is apparently already writing again and thinking about his next project. “Nothing is easy, nothing that I care about.” Indeed. Into the garage we go for the new single from Boston’s own Thick Shakes, “Polyommatus Blues.” Gritty. Noisy. I like it. 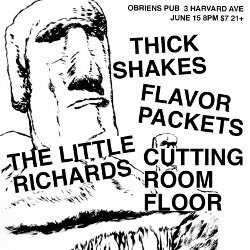 They’re playing Saturday night (6/15) at O’Brien’s Pub in Allston with Flavor Packets, The Little Richards and Cutting Room Floor (queer feminist punk from Ohio) (that’s their description, not mine). This is their only summer show, so get on it. Oh, and here’s the Facebook event. Peace out. 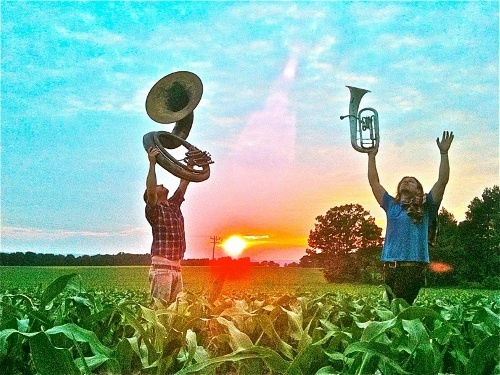 Based in Portland, Oregon, Balto is a folk music collective led by Daniel Sheron. Their latest album is Monuments, released last September. Balto has interesting beginnings. Daniel Sheron left his home in Moscow, Russia to go on a “vision quest” of sorts into Siberia. During his travels in that desolate region, he wrote songs about the people and places he encountered. In 2010, he found himself in a Brooklyn basement with a group of friends, and what came out of that was an album called October’s Road. 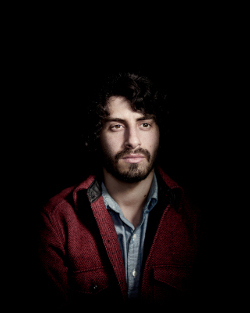 After their first national tour in 2011, Daniel moved from New York to Portland, Oregon, performed on his own and wrote songs for the next release. The band came together again last June to record the six songs with producer Jeremy Backofen (The Felice Brothers, Mice Parade, Gregory and the Hawk). Balto’s music is Americana with a bit of an edge and some compelling storytelling that feels very personal. It’s pretty with acoustic guitar, mandolin, banjo and closely-knit harmonies, but it’s rather sad as well. Have a listen. Why? Because 1) it’s late, I haven’t posted anything today, I’m tired and I got a ton of work to do in the morning; and 2) because a certain rock ‘n’ roll band that has been around since the time of Jesus is in town tomorrow. ‘Nuff said. Here’s something absolutely stunning for you tonight. We Are The West are the Los Angeles-based acoustic guitar and upright bass duo of John Kibler and Brett Hool. They record and perform in “natural places” to, in their words, “use sound and space to create an experience that is welcoming and honest.” Their mission to bring their music into common (and uncommon) places has meant gigs in shipping containers and storm drains, sheep farms and abandoned convents… and they have a “residency” (so to speak) in an underground parking garage of a Santa Monica office building on the Saturday night before every full moon. The just recently released their second EP installment of a four-part album, entitled We Are The West II (listen below). It was recorded in a Western New York barn, which is probably one of the more conventional place they’ve played. As the full moon is just around the corner, so is their next gig. They’ll be performing at The Parking Garage beneath the Office Building on the corner of 7th Street and Santa Monica Boulevard this coming Saturday, June 15, with a very special guest, New Zealand songwriter Greg Johnson. And it seems they’re playing an actual venue on June 19 — The Orpheum Theater in Flagstaff, Arizona with Nicki Bluhm & the Gramblers. That should be an unusual experience for them. JBM a.k.a. Jesse Marchant released a pretty, dreamy and haunting album called Stray Ashes (on Western Vinyl) a little over a year ago. He’s currently touring and will be coming to the East Coast for a few shows in July, so I thought I’d share a few luscious tracks to ease you into your week. Here’s a band that at first listen was maybe a little “mainstream alternative” for my tastes, but damn, this is pretty contagious stuff. 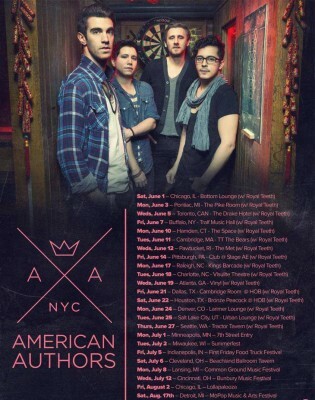 I was about to write that American Authors was “Brooklyn-based,” and indeed they are now, but apparently they are actually Boston escapees, having met while all the members were students at Berklee. Ok, so I won’t hold that against them [that’s a JOKE, Bostonians…]. Previously known as The Blue Pages, they went through a name change in 2010. They signed with Mercury Records in January and released their debut single, “Believer,” in March and another single called “Best Day of My Life” was used in a Lowe’s ad. Nice start, guys. Album forthcoming. They’re on tour; click on the photo above for dates. 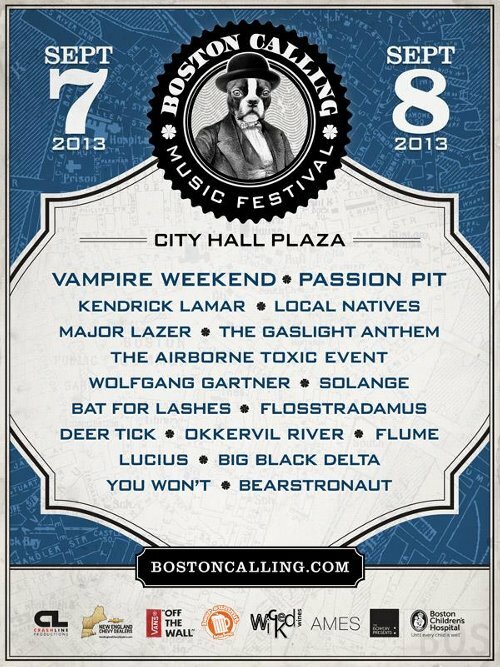 Tickets have just gone on sale TODAY for the Boston Calling Music Festival which takes place September 7 and 8 at City Hall Plaza, so I thought I would commemorate the occasion by having a brief look at the Boston bands that will be opening up the festivities on each day. Over the weeks leading up to it, I’ll be doing little profiles about some of the “non-headliners” performing, since that’s how I am here, and it’s actually a pretty diverse and interesting line-up. 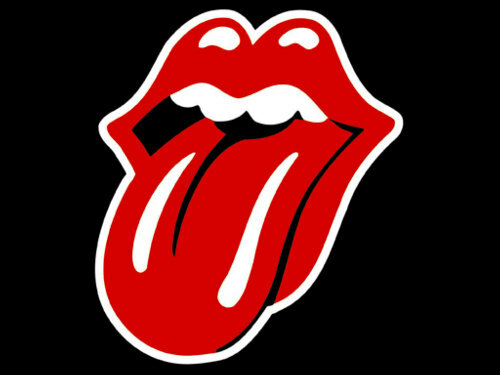 I’ll begin by profiling the two Boston bands who open things up on each day. I’ve heard some people comment that it’s a little odd not to have the Boston music scene more strongly represented at a festival that calls itself “Boston Calling.” While I tend to agree, this is also the first festival we’ve had here in Boston, right downtown no less, and there’s always a future (one hopes) to grow and improve. The first festival had two local bands, this one has three (yay Passion Pit!). Maybe the line-up can be expanded, extended into before and after-parties, whatever. Better not to boycott, but to engage in discussion. Off soapbox, on to the music. I’m really happy to see the Boston-based duo of Josh Arnoudse and Raky Sastri a.k.a. the totally charming and really great indie folk outfit You Won’t opening things up on Saturday. The band came into existence in 2011 and released their debut album Skeptic Goodbye (Old Flame Records) in February 2012. This was followed by a U.S. & Canadian tour, a bunch of glowing reports in places like NPR and The New York Times, and more touring this year supporting the likes of The Lumineers, The Joy Formidable and Josh Ritter. Nice to see they’ll get some more high profile exposure with this festival. There really isn’t a more perfect band to kick off Sunday’s dance party than Boston’s own Bearstronaut. Polished and well-produced synth-pop with hints of electro, R&B, Britpop, the 1980s… basically a bouncy, happy affair. They released their debut EP in 2009 and were the inspiration for a homegrown record label, Vanya Records, founded by Michael Marotta (the pill, WFNX). Their Moniker single was released on vinyl by Vanya, as was last year’s EP Paradice. Bearstronaut have perform with Passion Pit, fun., Bad Rabbits, St. Lucia, Surfer Blood and others. And in September, they’ll get to kick off quite an inspired Sunday line-up for dance music, hip-hop, R&B, electro and synth-pop aficionados.